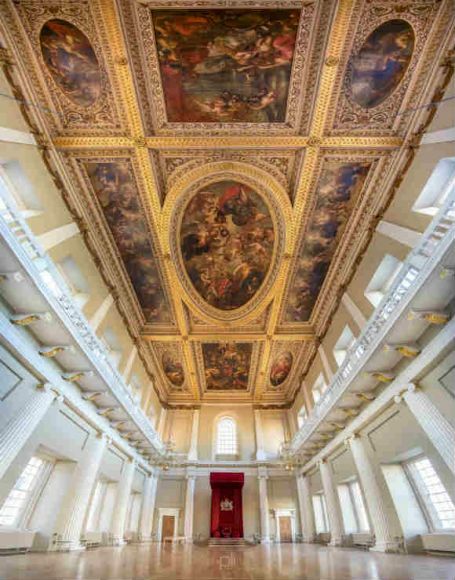 Marvel at the skill and craftsmanship of the magnificent Ruben’s ceiling paintings, commissioned by Charles I in 1626 to celebrate the glorification of his father James I. 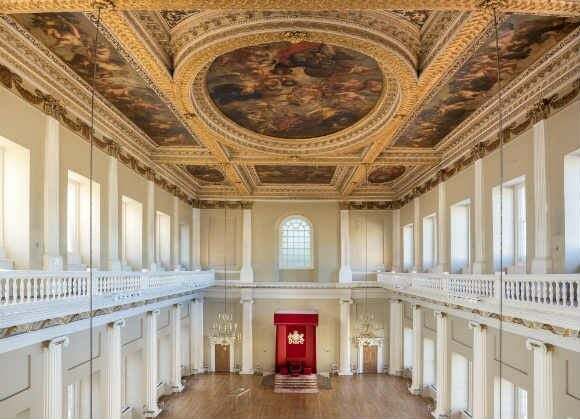 These are the only Rubens paintings to remain in their original location and were unveiled at the Banqueting House in 1635. Walk down Whitehall for about 5 minutes until you reach Banqueting House on your left. Children under 16 go free. Daily 10.00-13.00, last admission 12.30. (Open until 17.00 when no evening events scheduled). Please take your voucher to the Group Ticket Office in exchange for Fast Track Entry. Vouchers valid for 7 days from date stated. Free Audio Guides available in French, English, German, Italian, Russian, Spanish and Japanese. 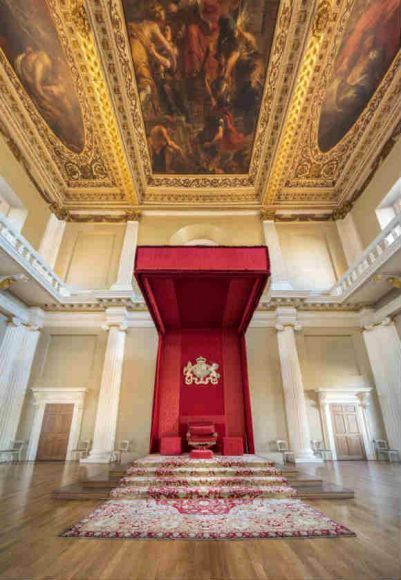 The Main Hall of the Banqueting House is accessible via a lift in an adjoining property. Monday-Friday only-please enquire in advance of the visit to ensure that access can be granted. Registered Disabled Visitors are charged the relevant ticket price and carers are admitted free of charge. Guide Dogs are permitted. Agents bringing child students or children to the palaces must provide a ratio of 1 adult for up to maximum 15 child/students children. If bringing children and students booked through the Learning and Engagement department the ratio must be 1 adult to 60 children or 1 adult to 10 students. Not meeting the maximum ratio will result in the party not being granted to access on arrival.